NEW YORK, Oct 19, 2012/ — With “Cloud Atlas” hitting theaters on October 26th, Halle Berry, who plays N’Fera / Jocasta Ayrs / Luisa Rey / Ovid / Meronym in the movie, once again finds herself on center stage. And, the interest on the Academy Award winning actress continues as she graces the cover of InStyle Magazine (U.S.) November 2012 issue. Ms. Berry was photographed for the cover in a custom Calvin Klein Collection persimmon viscose double face stretch cady dress, designed by Francisco Costa, the brands’ Women’s Creative Director. The cover image was shot by photographer Giampaolo Sgura and was styled by InStyle Style Director Samira Nasr. 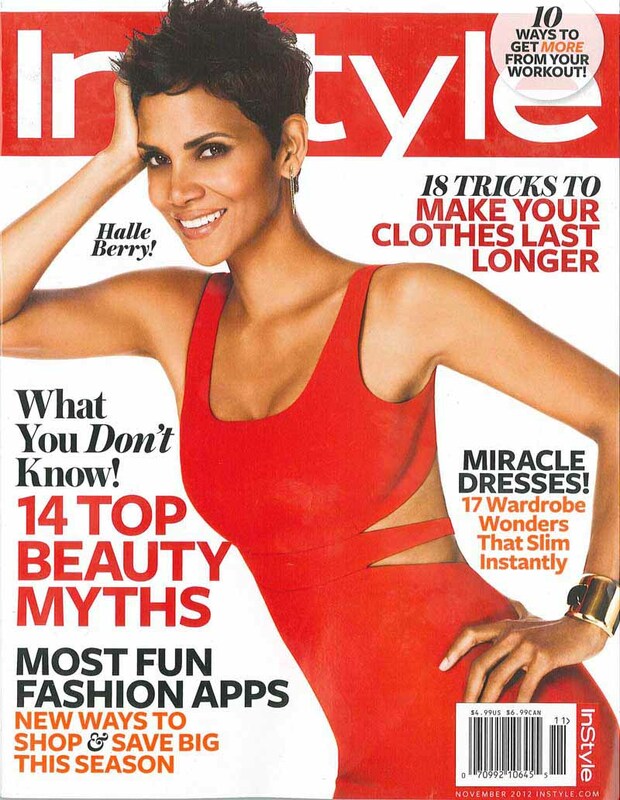 InStyle magazine has an audience of over 10 million readers. For more information, please visit www.instyle.com.